Purchase loans are continuing to outpace refinances by a significant margin, according to the Origination Insight Report released by Ellie Mae on Wednesday. Mortgage loans for home purchases accounted for 65 percent of Ellie Mae’s total loan volume in April, while refis only comprised 35 percent. Six months ago, refinances accounted for nearly half of all loans. Time to close also continued to improve for the month, with the average time for all loans hitting just 42 days for April, compared to the 43 days of March and 51 days of January. For refinance loans, time to close was just 41 days, also down from 43 in March. According to Jonathan Corr, President and CEO of Ellie Mae, the across-the-board improvements are a result of the ever-evolving Ellie Mae customer. 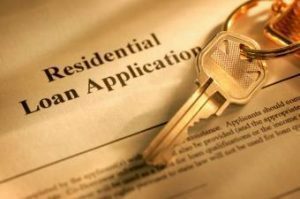 “The purchase market continued its rise in April, representing 65 percent of total closed loans,” Corr said. “We also saw the time to close loans shrink for the third consecutive month to 42 days, a substantial decrease from the 2017 high of 51 days in January. Ellie Mae customers are realizing efficiencies as they embrace technology to improve the homebuying experience. April also saw the average 30-year mortgage rate rise to 4.41 percent—a jump from 4.39 percent in March and 4.1 percent one year ago. Adjustable rate mortgages rose as well, clocking in at 5.9 percent. April marked the highest point for ARMs since 2014 and a 1.4 percent jump since just 12 months prior. Broken down by loan type, Ellie Mae’s originations largely consisted of conventional loans, which accounted for 63 percent of April’s loan volume. FHA came in second, with 23 percent, while VA loans comprised just 10 percent of all loans. Though conventional loans have dipped slightly over the year, the numbers remain fairly steady. Across all loan types, Ellie Mae’s April borrowers had an average FICO score of 722 and a debt-to-income ratio of 25 to 39. The Origination Insight Report is based on data from 80 percent of all mortgage applications initiated within its Encompass technology solution. View the full data set at EllieMae.com.